Within the hustle and bustle of the capital city lies a hidden palace, known only to those invited to see. 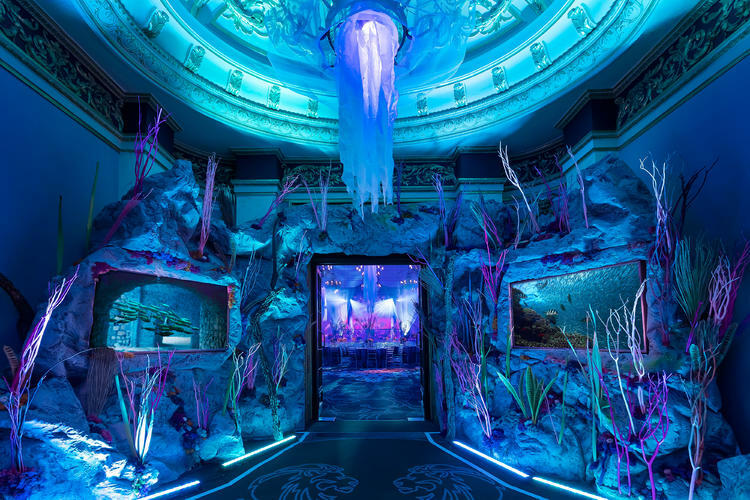 Dive into The Lost Palace of Atlantis. Fragmented shards of sunlight falling from the world above create patterns and movement across this magical world. 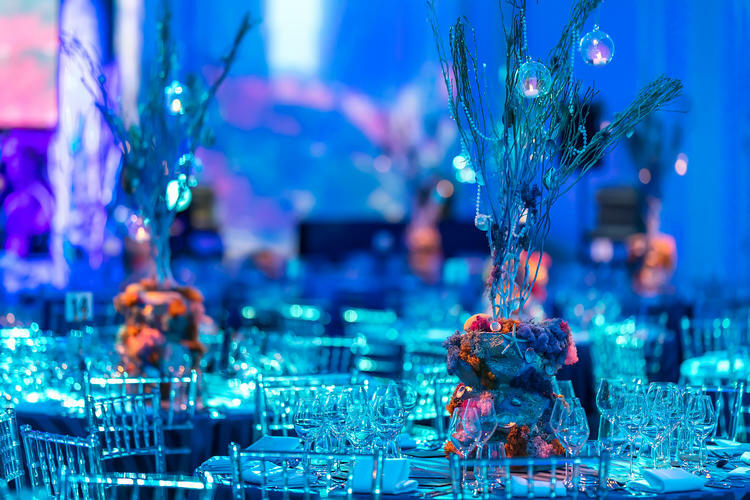 Depending on your party style, The Ballroom is perfect for 100-700 guests. The keepers of the Palace have dusted off the starfish and pushed the pearls to the side to create the perfect banqueting space. 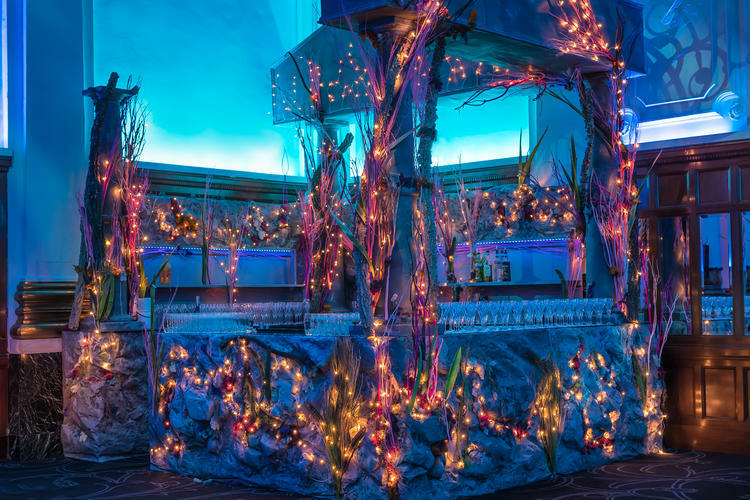 Some have heard rumours of The Lost Palace of Atlantis and many have wanted to believe that a world like this existed but most have dreamt of being here, drinking in the atmosphere, the history and excitement of the secret. 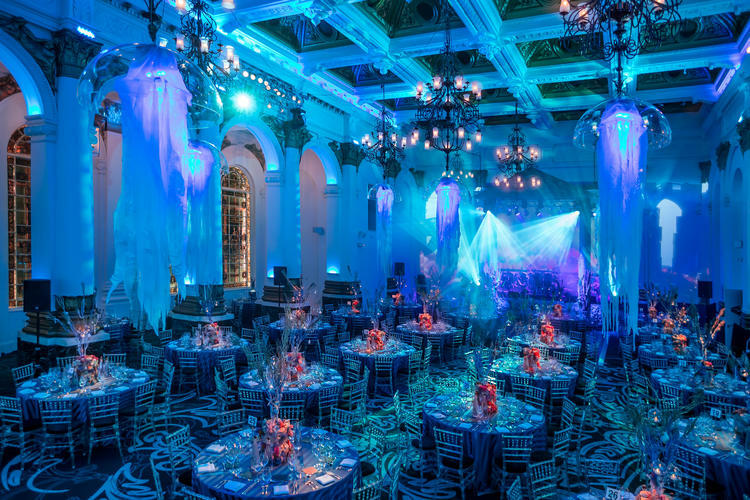 The history and intrigue seeps from the walls of The Ballroom, the grand pillars and the twinkling chandeliers. So grand and yet so secret – an exciting place to party. 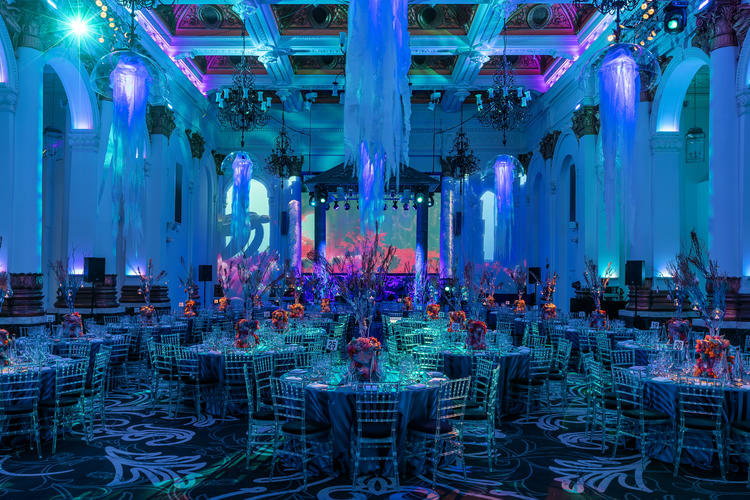 The pillars of The Ballroom drip with shimmering seaweed and corals glint around the room, this Palace is awash with life, a hidden world under the sea. Tables are adorned with treasures of this underwater world, pearl crusted and shimmering. The keepers of the Palace serve a grand banquet, drinks flow into sparkling glassware and the night fills with music. 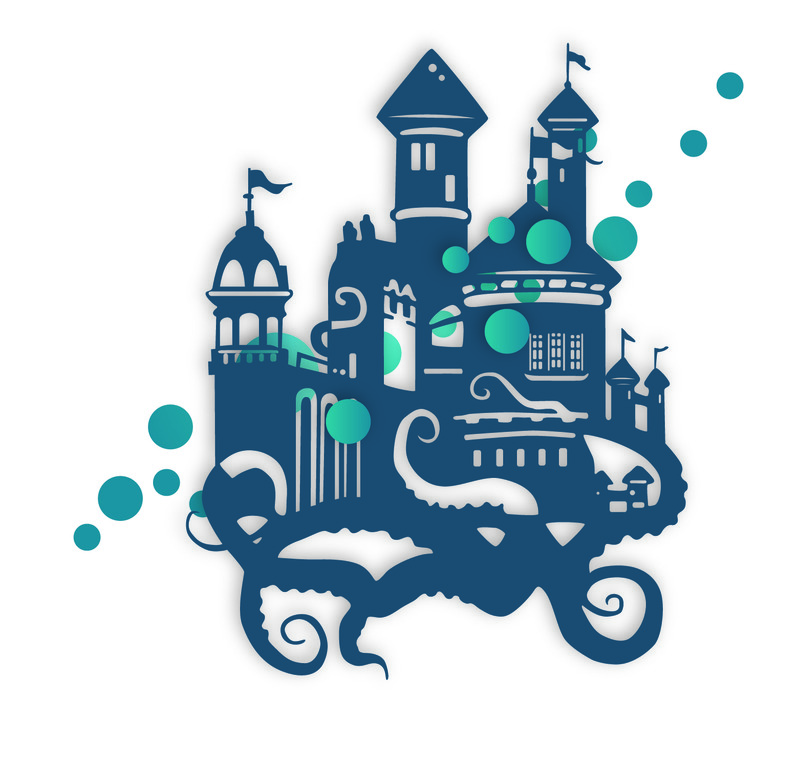 As the night draws to an end and the guests drift away it’s almost hard to believe it all happened, that it even exists and it’s true that if you return a year later it’ll be gone, as if it was never there, for it is The Lost Palace of Atlantis found only by those that know.